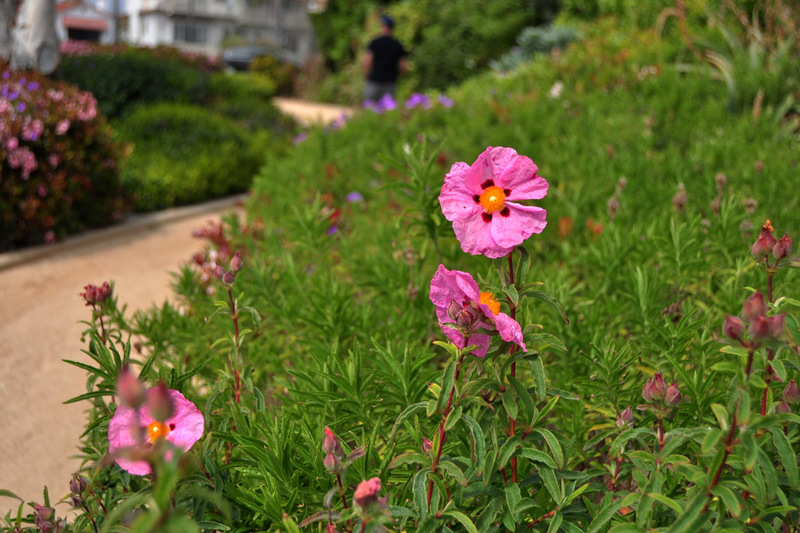 In June, I visited The Japanese Garden in Van Nuys, Los Angeles. It was hot, but the time was ripe for viewing blooming lotus flowers. The lotus is a diamond in the rough — it grows out of murky water. In Buddhism, the lotus is associated with purity of body, word, and mind; in Hinduism with beauty and prosperity. 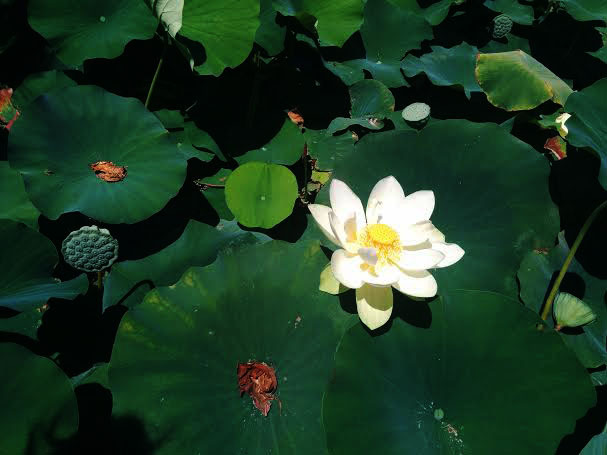 Furthermore, a white-coloured lotus (they also come in pink and blue) represents an awakening to the wonder of it all. 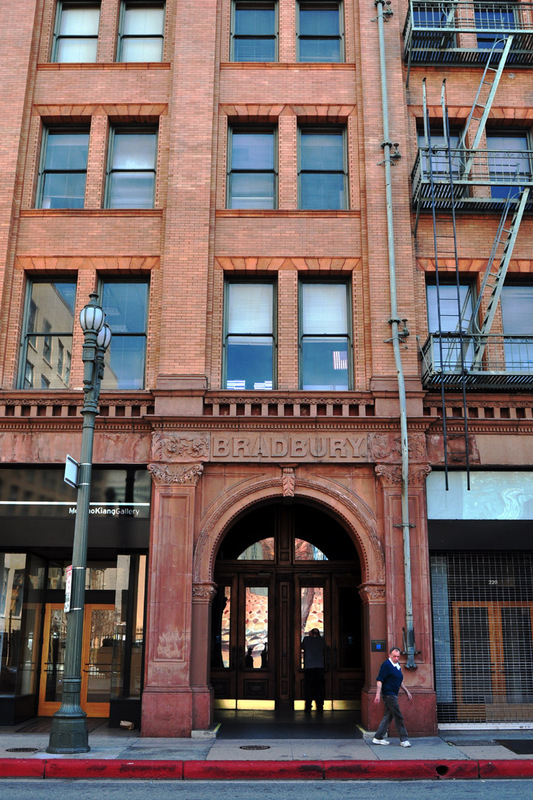 In downtown LA, not far from the Arts District, stands the landmark Bradbury Building. 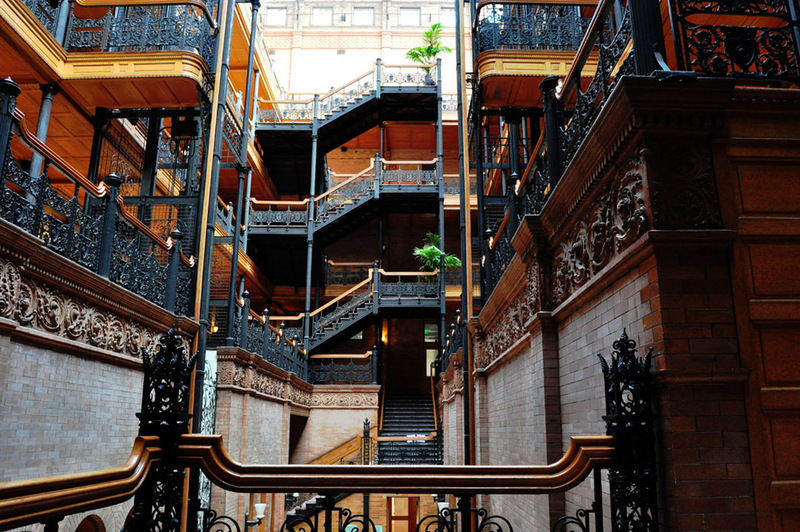 Made famous by the noir classic, Blade Runner, it’s a must see for movie fans as well as architecture lovers. 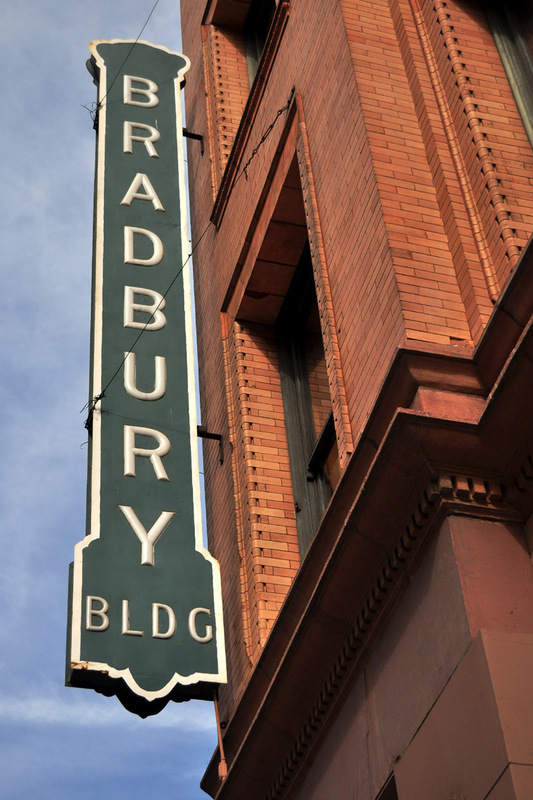 So reads the text that greets you upon entry into the building, below… Enjoy! 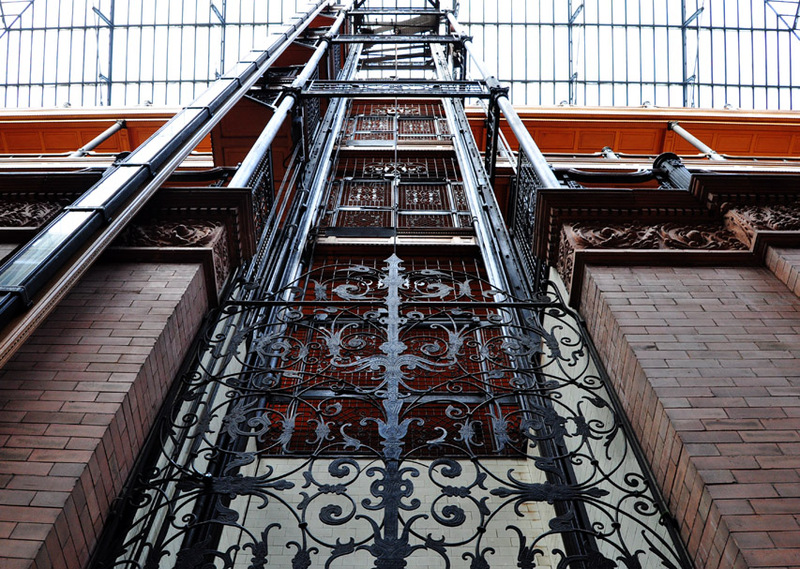 “Built in 1893, the Bradbury Building is a local historic landmark whose architectural purity had been threatened by a sense of safety code modifications at the time of the Blade Runner shoot; in fact, the structure had fallen into a serious state of disrepair (however it was completely renovated in the early 1990s). 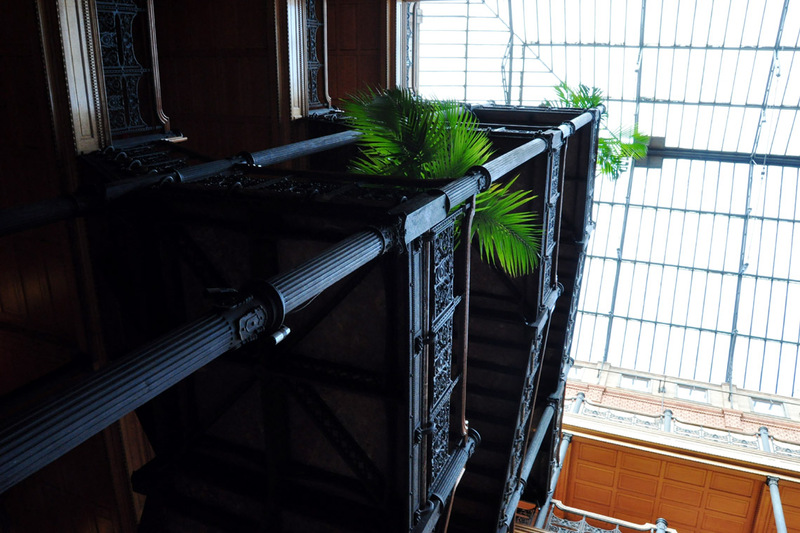 Inside the building, the Blade Runner crew chose to stage scenes featuring the buildings’ geometrically patterned stairways, wrought-iron railings and open-cage elevators (still functioning today) by filming on the interior ground floor, top floor, central court, lobby, elevators and stairways. 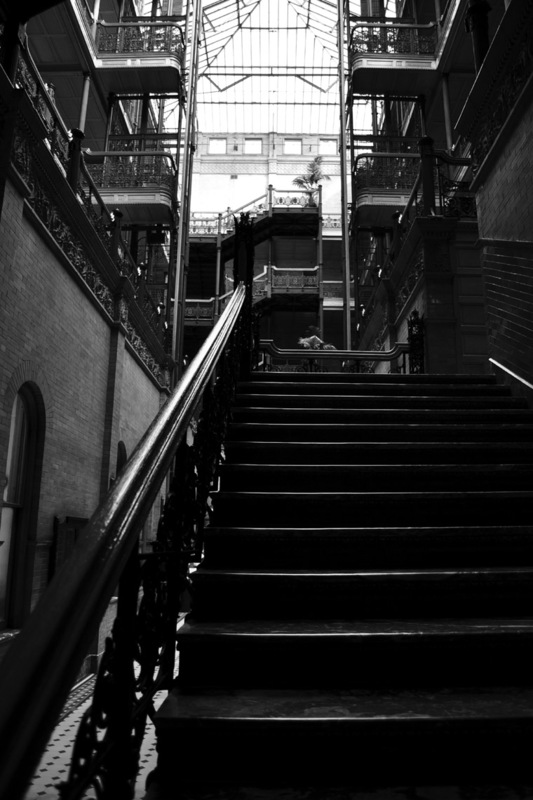 (As reads the sign in the Bradbury Building. 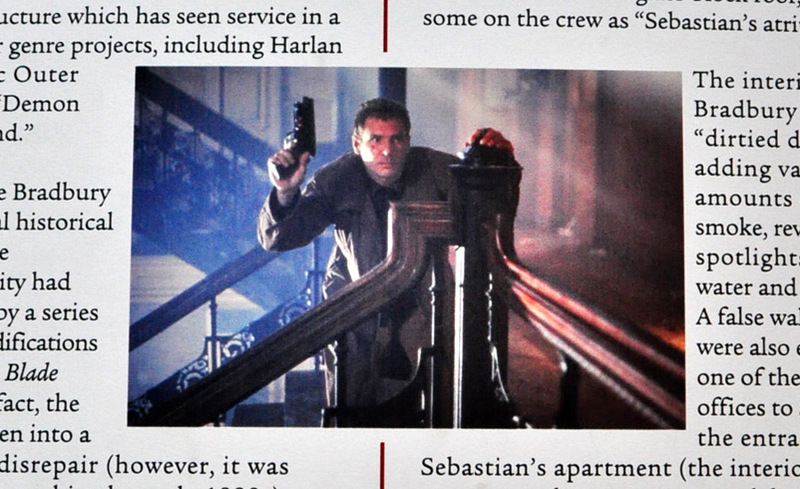 The text is excerpted from Future Noir, The Making of Blade Runner by Paul M. Sammon). His actual date of birth cannot be substantiated as back then, births were not formally registered and Birth Certificates were not produced. As it was customary for Elizabethan parents to baptise their children three days after their birth – there is record of Shakespeare’s baptism, dated 26th, at the Holy Trinity Parish Church in Stratford, England – his birthday has been guessed. Incidentally, Shakespeare died on this very date – on 23rd April, 1616. The Golden Globes kick off awards season. 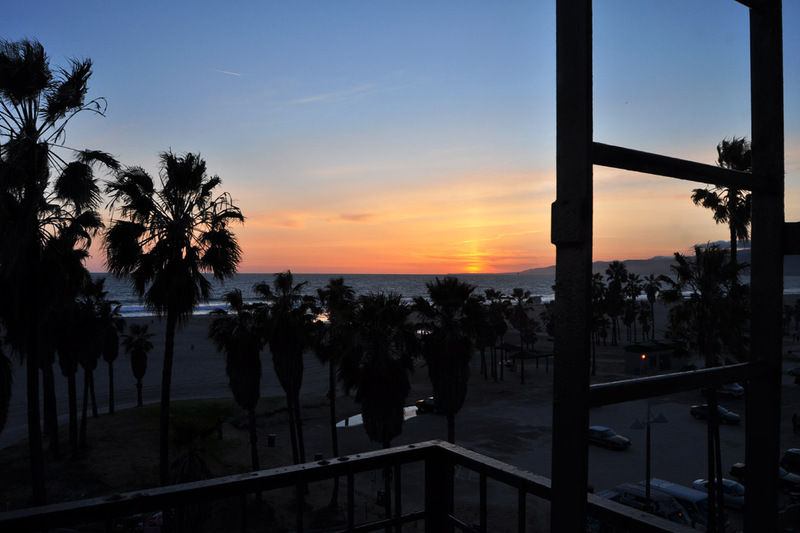 Watching them from New York, I will inevitably wax nostalgic about Los Angeles, my former hometown, as the glorious sunshine lights up the movie stars on the red carpet. I wanted to honour the Golden Globes from New York, so by a (large) stretch of the imagination, I came up with a topic for this post: The Bronze Statuettes of the 14th Street– 8th Avenue Subway. A few weeks back, I spotted these little figurines and have wanted to write about them ever since. In light of the Golden Globes award show, I now have the perfect excuse. If you’re not familiar with these squat bronze sculptures, they are part of Tom Otterness’ “Life Underground” series commissioned by the Metropolitan Transit Authority and Arts for Transit. They dot the 14th Street – 8th Avenue subway — around the main concourse and its A, C, E and L stops. You’ll come across a cartoon-like top-hatted figurine while descending the stairway to the platform below, only to find yourself greeted by a large caricature fashioned into a phone box..
“Life Underground” took ten years to create, and includes over 100 cast bronze works. They are so interesting to look at while waiting for the subway. 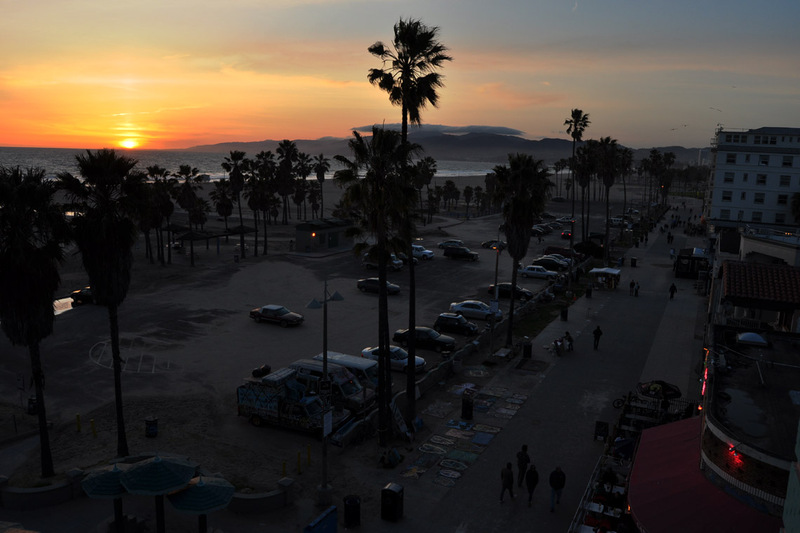 Enjoy these Teletubby-like works. I’m off to have a glass of wine and watch the Golden Globes! Tom Otterness’ public works feature in many parts of New York and North America; with a few works on view in South Korea, the Netherlands and Germany. More info: Tom Otterness >> Public Art.